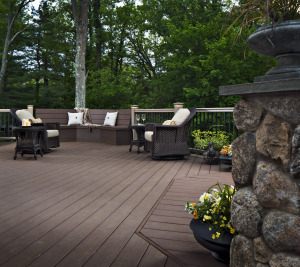 One of the most popular ways to enhance your home is to add on a deck. They can increase the value of your home and are the perfect venue for family gatherings and weekend barbeques. However, deck building should only be performed by professionals so that all of your local building codes are met and to ensure that the deck is built safely. Each year, people are injured when they build their own decks and fail to understand their construction and what needs to be done in order to make them safe. 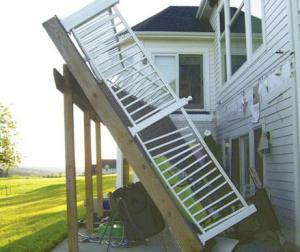 There have been several instances of decks collapsing all over the U.S., including instances in Georgia and Pennsylvania. However, these instances and the injuries that resulted could have been easily prevented if the decks had been built according to proper safety standards. When it comes to deck building and other backyard structures, such as garden pergolas, their construction is best left to either professionals who have a great deal of experience in the area or should be constructed under the careful guidance of an expert. In many cases, deck building is performed incorrectly by homeowners who do not use the right tools or equipment. In order for these structures to be constructed safely, a professional contractor, such as Archadeck Outdoor Living, should be hired to make sure that the job is done right. 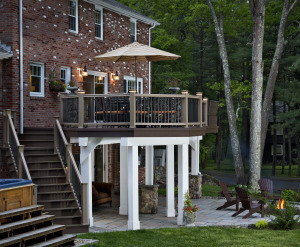 Because safety should be the number one concern of any project, they can make sure that the job is done right, from beginning to end, and homeowners can have peace of mind knowing that their pergolas and decks are sound. Nails or Screws: Which is More Effective for Building a Deck? When building a deck, your number one concern should be safety. In order to follow safety guidelines for deck building, you should consider what types of materials will offer you the strongest and most stout structure. While some deck builders maintain that using nails is more cost-effective, using bolts and screws to assemble your deck gives the structure a stronger integrity. When you consider the fact that deck collapses have been an issue in the U.S. this year because of substandard construction and cheap materials, using the materials and a deck builder that will offer you and your family a safer structure is vital. While you do not have to choose nails over screws or vice-versa, it is important to understand how each plays a factor in the structural integrity of your deck. While nails are suitable for laying deck boards, a knowledgeable deck company professional will understand that large screws and bolts are necessary for the support beams that give the structure its strength. This is because the ridges on bolts provide a more solid grip on the wood. When you hire a deck builder to construct your deck or any other outdoor structure, you should ask about their intended use of both nails and screws, and how each of them will affect its strength. The safety of your home and family is always a paramount concern, so before you choose to have a deck built or hire any kind of contractor, you should ask about their process and the kinds of materials they use to ensure that they follow recommended safety guidelines. There is nothing like a warm and cozy fireplace to make even the coldest day comfortable. Fireplaces are one of the most popular features that people look for in a home, but what they may not know is that outdoor fireplaces can provide them with the same kind of cozy warmth on crisp fall or cold winter days. This means that you can enjoy your deck or patio well into the fall and winter without having to bundle up. You can choose either a wood-burning or a gas fireplace; it all depends on your desires and the degree of convenience you want. If you want to go for a more traditional feel, then choosing a wood-burning fireplace is the way to go. Many people prefer them because it makes their fireplaces and outdoor kitchens feel more rustic. They are also convenient for burning landscaping trimmings, such as large branches. Many people who use their outdoor fireplaces to cook believe that meat tastes better when it’s cooked over an open fire. Some of the best woods to use in these fireplaces are oak, maple, and birch. 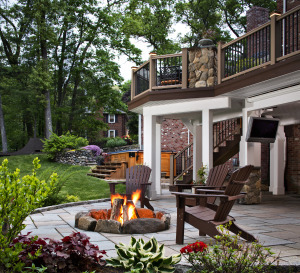 If convenience and ease of use are major factors in choosing outdoor fireplaces, then a gas model is for you. These units roar to life with the flip of a switch, and you will never need to chop wood. They also produce no smoke or strong odors and have no need for a chimney. Owning your own pool is not only a major advantage on a hot summer day, it is also a way to increase the value of your home. However, in order to increase that value even more, you should consider adding a deck to your pool or a patio as well. Pool decks and patios offer you and your guests comfort and convenience, but before you choose a contractor, you need to consider how the design of your new space will affect the surrounding land. No matter what kind of pool deck or patio you’re considering, safety and design should go hand in hand. There are a number of patio designs that provide both beauty and safety with non-slip decking and built-in options for shading to avoid the sun’s UV rays. Before you call a contractor to build either a deck or a patio area, consider what kind of safety features you will need so that you can discuss them in detail with the professional you choose. Pool decks and patios can make any living space fun, comfortable, and convenient. 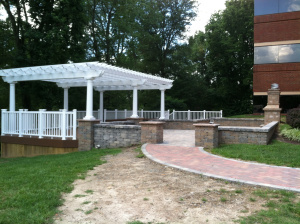 Archadeck contractors can design almost any outdoor space that you desire by combining form with function so that your new outdoor area will be safe for everyone. Your home is your biggest investment, and enhancing it with a comfortable patio area or pool deck will not only give your family a great place to relax, but it will add even more value to your property. Whether you wanted to Heat or the Spurs to win, it surely was an exciting matchup, but unfortunately watching the game took a dangerous turn for many fans in Florida. Local basketball fans gathered on the 13th of June at a North Bay Village, FL bar and grill to watch the NBA finals game. Nearly 100 people decided to enjoy the beautiful Florida weather and watch it outside on the restaurant’s large wooden deck. What they didn’t know is that the deck was unstable and would collapse, dropping patrons into the bay below. There were 24 reported injuries with two being serious. Since the collapse, the city has been investigating what went wrong on this commercial property that was inspected back in January. The owners had to have their establishment inspected in the beginning of the year, but although the property’s building was signed off on, the deck wasn’t included in the inspection. County officials are looking into why. When the collapsed deck, which practically split in half, was looked at the day after, the structural issues were very clear. Most of the steel used to support the deck had corroded over time and couldn’t withstand the weight of the group. It is unclear when the last time the deck itself was inspected. One thing that is clear is that the load was way too much for the deck to hold. Its capacity according to local records is 74. With 26 extra people, it isn’t surprising that the deck failed. Now the restaurant owner is being sued by his patrons. They claim the owners had a duty to properly maintain the deck to ensure safety for those that go to the bar and grill. This situation, unfortunately, is a common occurrence. Decks, like any structure need to be maintained and replaced over time. Their frame work will corrode and deteriorate through the years as it is exposed to harsh weather, and in this case, salt water. 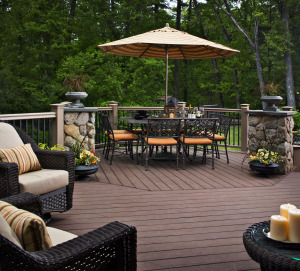 At Archadeck Outdoor Living we suggest that any deck over 7 years be inspected by a professional deck builder. If a younger deck is showing signs of needing work, we urge homeowners to have it looked at. A deck safety inspection will look at all parts of the deck, (boards, connections, structure, attachment, foundation, stairs, railings, etc.) and will evaluate where they are in its life. A checklist is done and recommendations are made. 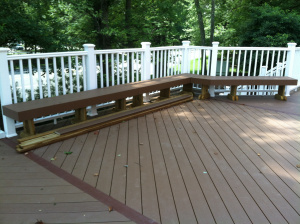 We sometimes see that while parts of the deck may need to be repaired or replaced, not everything has to. For example, boards may need to be replaced, but the deck frame may be just fine. Make sure to ask your inspector when the deck needs to be inspected again and when you should be ready to replace the entire structure. Commercial decks usually have to carry a heavier load and receive more wear and tear. 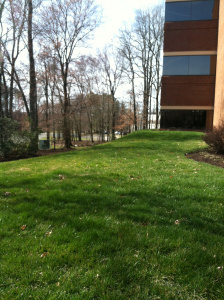 If you are a commercial property owner who has a deck, you have to make sure that it is safe for your patrons. Having regular safety inspections and making sure to do timely repairs will give you the peace of mind that your structure won’t collapse. If you are worried that your deck isn’t in the best shape, please contact your local Archadeck office and have them come to your property for a deck safety inspection. Source information for this blog are the Miami Herald and WCF Courier.